Avaya IP Office has been the hottest selling small to medium sized phone system in the nation. With robust standard features and the system flexibility, the IP Office has continued to grow stronger and stronger as each release comes out. Since its inception in 2001, the IP400 then IP500 processor has continued to evolve. Customer can easily upgrade firmware of hardware when newer releases have came out in the past. For IP401, IP403, IP406 and IP412 customers who want to go to current R5.0 software release a simple software update strategy is in place that customers have been leveraging to stay current. The CCS support group can help with current IP Office customers to provide in depth programming assistance, installation, training, maintenance and additional sales and support as needed. For new customer, the IP Office is the ideal business solution for you. If you have a Avaya Partner today and are looking for more functionality you can be assured the IP Office makes the transition easy. If you are a current Nortel Network customer using ICS, CISC, MISC, BCM, feel comforted that the Converged support group can support all Nortel equipment until you are ready to make some technology infrastructure improvements. Customers with Cisco UC500 and Cisco Call Manager Express (CME) have limited functionality and find that replacing their existing IP PBX with a new IP500 increases productivity and efficiencies of the business while decreasing overall phone system maintenance costs. With R5.0, Avaya IP Office has introduced the future of IP Office, the One-X web portal for all softphone and dialing needs. The One-X portal will shortly have one-x mobile tie ins like communication manager. View release 5 ip office bundle offerings. Offerings for Illinois customers and nationwide available. The IP Office 500 solutions can be expanded through the use of expansion modules. The IP Office most common digital telephone is the digital display 5400 series set. Identical to the 2400 series Definity and Communication Manager sets, the 5400 gives end users easy to access features with one touch of a button. Missed caller ID log, redial parties you just called, change ringing options, 5 party conference and easy to use one touch transfers. Other available digital phones include 4406, 4412, 4424, 6408, 6416, and 6424 as well as DSS side consoles 4450 and xm24. The IP500 processor version 1 (IP500v1) has 4 insert modules in the front to easily add digital insert 8 port modules (digital 8 or DS8), analog extension 2 (phone 2), analog extension 8 (phone 8), analog trunk module 4 (ATM4), single t1 pri (T1), dual t1 pri (Dual T1), and voice compression modules (VCM32 or VCM64). The IP500 architecture is based around adding licenses to open up ip resource (VCM) channels and T1 channels as well as voicemail ports. This prooves Avaya's pay as you grow strategies are economical. With the release of IP500V1, an additional 4 port expansion card can be added to give up to 12 expansion ports total bringing you to a total of 384 physical endpoints per processor. Keep in mind, the voicemail pro allows up to 500 subscribers. If you have multiple sites you can use VPIM or voice networked messaging licenses to share voicemail distribution lists and subscribers so you dont have to centralize communication and limit yourself to capacities of one system. Whether you do H.323 simple voip trunk connections to other sites, sip trunking, point-to-point, or small community networking (SCN) the IP500 is extremely flexible and is a great foundation for any business. Popular free features include roaming profiles (hot desking), 64 party built in conference bridge, hot dial pad, internal names directory, voicemail to email, system alarming through smtp and snmp, and a number of ACD and queuing features that customers typically have to pay for. The IP500 processor can be built analog only, digital only, IP only, or a combination of each called out hybrid mode. The IP500 can accept up to 8 T1s. Lastly, the IP Office Manager tool and Voicemail PRO visual call flow application makes changes simple and easy! The best and easiest administration tool in the industry. See IP Office software release history. Hook-up any standard analog wireless phone with analog extension ports or select from any one of our digital or IP telephones. The IP Dect 3701 and 3711 have been economical versions of VOIP wireless and work on both Definity, Communication Manager and IP Office. These have been recently replaced by the new Dect 4. Avaya Digital 3900 and 3800 series sets including 3810 and 3910 are available. IP Office stopped supporting Transtalk 9030 and 9040 around R3.0. Partner Transtalks were Avaya and Lucents state of the art cordless phone for Partner, Merlin, IP Office, Definity and Communication Manager before the product was ended for more economical Avaya solutions. The 1600 series IP telephones are economical versions of the IP Office IP phone. For users that need red/green busy lamp field visual keys, the 1600 series are great! 1603, 1608 and 1616 as well as DSS console. Wireless VOIP IP Dect phones have improved in its new Dect R4 release in late 2009. Updated handsets 3720 and 3725 provide easier to use graphical interface and longer lasting batter options. Licensing has now been bundled into the RFP or wireless access points. IP Dect requires POE for access points (indoor and outdoor, IPBS, Radio Base Station). Allow up to 8 calls per base station and if you overlap bases you can get more calls. If you have an existing wireless infrastructure in place and want to leverage that, turn to the Polycom Spectralink VOIP wireless phones 3616, 3620 or 3626. Some customers are familiar with Spectralink digital version however Spectralink has moved all their solutions to IP connect. Spectralink MVP, AVPP, and SVP allows hookup of IP phones to the network. 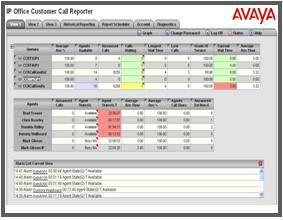 IP Office customers who have call centers can leverage several different realtime and historical reporting options. CCC also known as Compact Contact Center has been around since the inception of IP Office. CCC is an application based solution that provides up to 75 standard reports and 3 customized reports as well as pc wallboards and realtime reporting for up to 75 agent environment. With the release of R4.2, the IP Office release the web browser based CCR or Customer Call Reporter. Avaya plans to enrich this product and is pushing all the r&d dollars towards this call center solution. For customers that need more complex features like higher level reporting and skills based automatic call distribution and queuing, Avaya has partnered with taske and zeacom ACD software engines to provide more options. CCR allows you to click and drag and customize agent and supervisors. Also, with R4.2, the IP Office now allows for ACW or after call work which allows users to apply reason codes and the CCR can report on these BNA or busy not available states. If you currently have a CCC, Avaya allows you to purchase an upgrade license to move from the CCC to the CCR when you are ready. Add supervisors and agents easily. In Nov 2009, CCR is in its first release. Stay in touch with your CCS sales and design specialist to keep you informed on latest release. Future roadmap includes additional wallboard and agent features, multisite support, outbound campaigns, SMS text messaging integration, call back requests, force state options in one-x portal and more. For customers with multiple site IP Offices and Avaya Communication Manager or Definity solutions, the Integrated Management software package is available to better oversee your multisite organization. Creating a multiple site backup plan, update plan, and an overall better management on main and remote sites can help effectively increase uptime, decrease failures and decrease maintenance and management time. With a simple license addition of the CTI third party on IP Office you unlock the capabilities to integrate to third party servers and provide telephony information (TAPI, TSAPI) to the third party server. Microsoft CRM and Sage SalesLogix is an example of integration made easy. Inbound and outbound calls get tracked and inbound pops to the database increase employee efficiency. Keep in mind, with any third party integration your server must allow for TAPI 2.1 and 3.0. Typically, these companies have an additional costing structure to turn this on per user. Once we apply the TAPI license there is a simple 5 minute installation and the rest is up to your database or third party server. Converged Communication Systems is happy to help program, move, maintain and upgrade your current IP Office system. If you have a IP403 or 406v1, IP406v2 PCS 7 or below you can go as high as 3.2.54. If you have a IP406v2 PCS 8 or higher you can go to R5.0 as well as IP412 customers. If you are not ready to upgrade your software or migrate your processor to the latest IP500, the Converged Support Group can help maintain your existing system. We don't force you into upgrade just because you are move then a couple revisions behind. Our CCS sales and support professionals review your existing equipment and work with you to see what equipment can be migrated forward. IP400 has a number of insert and expansion modules available. For analog devices extension simply add a version 1 or version 2, IP400 or IP500 Analog Phone 8, Analog Phone 16, or Analog Phone 30 Expansion Module. For digital extensions add Digital 16 r Digital 30. Both digital versions come in versions 1 or 2. Version 2 units have grounded power supply and supply more power due to updated power supply and the digital v2 units have circle port lights. Analog Trunk Module or ATM16 allows up to 16 POTS or standard phone lines to be added, however you can add ATM4 insert card to allow up to 4 CO in the IP400 processor. There are also single and dual T1 insert cards for those that need T1 connections. Voice Compression Module inserts cards come in VCM5, VCM10, VCM4, VCM8, VCM16, VCM24, VCM20, and VCM30 which are IP compression cards for IP Resources. Avaya is one of the few manufacturers that comply will disabilities, federal and all government acts for technologies and telecommunications. Section 508 required that electronic & IT developed or purchased by the Federal Government is accessible by people with disabilities. It is not a requirement for Private sector, however it is highly encouraged for businesses in healthcare field. International communities have similar standards like DDA of the UK Canada's Common Look & feel, Australia's Disability Discrimination Act, and others. The IP Office complies with such standards as well as other Avaya solutions. TTY is available with Voicemail PRO and there are some integrated pc solutions like text-to-speech, IVR, and tapi pops with audible sounds to identify alarm or callers. IP Office Phone Status software is available for visually impaired (SAP 700411184). With IP Office R4.0, IP Office can have up to 16 other IP units centralized off one unit with up to 500 voicemail subscribers. However, if you dont centralize the voicemail then you can simply network as many phone systems as you like using H.323, SIP, or VOIP trunks. The SCN or small community networking feature allows centralized voicemail, user busy lamp fields across the network. sharing of directories both on phone system and voicemail, distributed hunt groups to ring multiple agents simultaneously across different pbx's roaming profiles between multiple phone system processors on any digital, ip, analog, and vpn phone and more. In the IP400 architecture IP networking is allowed at no additional cost. however advanced features are a single license. For IP500 users, basic and advanced networking are licensable items. For remote sites needing telephones, deploy simple IP phones or VPN phones. 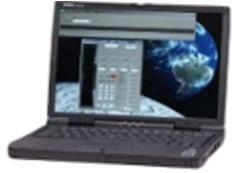 For sites that need local number and local dialtone, ask about our inexpensive small IP500 or remote gateway options. Avaya is the industry leader when it comes to softphone, telecommuter, mobility, and remote worker solutions. Business concerns with weather emergencies, pandemic, disaster concerns, extended sickness and other concerns are getting businesses to rethink strategies for remote and mobile working. Simple avaya bundled licenses allow customers to load up a telecommuter software on user home or laptops that allows full call control. The benefit of the telecommuter mode is that voice calls use the cell or home phone line and all call control is done on the pc. All calls are being originated from the PBX or IP PBX and then the user gets bridged on before the call is placed. In some instances, where home internet or remote site internet quality is not a concern full softphones are used. Mobile workers can leverage simple remote call forward technology and turn this on by calling their voicemail or through a vpn connection. Other mobile workers leverage mobile twinning which rings the desk and cell phone simultaneously and provides caller id of originating call. When voicemails exist in mailbox setup an outcall to 5 numbers, voicemail to email copy and voicemail to email alert. Leverage a cellular gateway and connect to your Avaya solution to allow inside users to save money on cell to cell calls because the calls will go through corporate cell phone network. This also provide extra redundancy. SMS text messaging servers and software are becoming more popular. Presence and Instant Messaging servers are technologies that ever company will have in the future, however leverage your IP Office to have all device presence today. Use Mutari software package to give voicemail to text messages. The Avaya Partner Voice Messaging comes in small and large options. The small is 2 ports by 4 boxes and the large is 12 boxes and 2 ports. This solution only has 1 auto-attendant shared. If you need additional mailboxes, ports, or auto attendants review the partner messaging module that grows up to 200 mailboxes, 4 attendants and 6 ports. 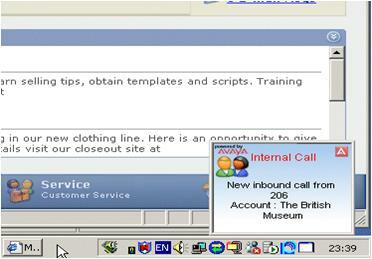 The Avaya IP Office has free and embedded feature rich call center, ACD and queuing features. Service observing is done easily with a one touch button or a simply code. Call listen, barge, or steal is allowed. Call recording is standard and can be turned on by a one touch button, by the admin, on incoming number, on specific groups or a number dialed. All recordings are placed in voicemails or phantom boxes in .WAV files. Contact Store optional web tool by Witness (also included in R5.0 advanced edition bundle) allows managers to locate recordings, perform backups and compress wav files. Calls can be automatically distributed to all agents simultaneously (group ring ), linear, rotary (or circular) and most ideal agent. IP Office R5.0 allows idle time to be reset either by all calls or external only. R5.0 allows for Reason Codes and the CCR allows tracking of these work reason codes for ACW (after call work). Wrap up is a similar feature used to determine time after a call which can be modified per agent or a one touch button. Calls can be distributed by caller id or distributed based on geography. Number of calls in queue and time in queue options can be provided in specific queue. Priority tag for inbound call or now with R5.0 you can tag calls at attendant or transfer level. On R4.0, Automatic logout, disable or DND/wrap up for agents forgetting to logout. On R4.2, Vectoring or if/then compare time in queue for still queued message and flexible repeat time. Email notification for prompts and more. Lastly, up to 4 music on hold (MOH) options allowed per system for inbound calls - this allows you to customize the callers experience. All IP Offices come with free excel spreadsheet .csv output file call by call which is known as IP Office delta server, smdr, or cdr. You can purchase call account software as simple as Metropolis or something more robust to report on realtime and historical for call centers. Take advantage of our free phonemanager Lite application. This is a soft dialer for workstation. Users can control their phone, turn on forwarding, add dnd exception list, see status of up to 15 users, see missed call logs and dial by outlook personal contacts. Phone Manager PRO gives up to 1000 status BLF icons, with call center agent features, inbound pop to outlook personal contacts, and more. One of the hottest selling features is that the pro version allows you to turn on telecommuter which allows users to use their cell or home phone for voice path and all call control is done off the pc. Why is this important? This provides quick and easy as well as inexpensive home or remote solutions without compromising call quality.